Do you know that the UAE is home to hot water springs? You can find it at the Jebel Hafeet mountain in Al Ain – a road trip that’s definitely worth the drive. While you’re there, you can even head to the famous Wadi Adventure water park for white water rafting, ziplining and more! Well technically this is in Dubai… but you’ll have to go through Sharjah to get there so it definitely counts as a road trip! 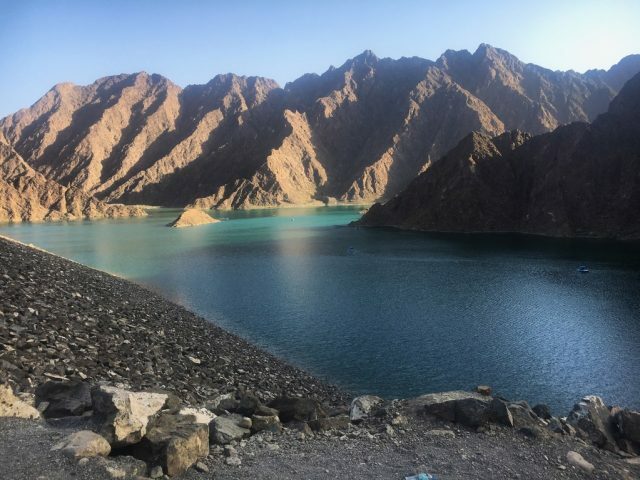 Just by the border of Oman, Hatta Dam is honestly one of Dubai’s most beautiful landmarks. The entire place is surrounded by mountains, and the best way to explore the area is by renting kayaks or pedal boats. 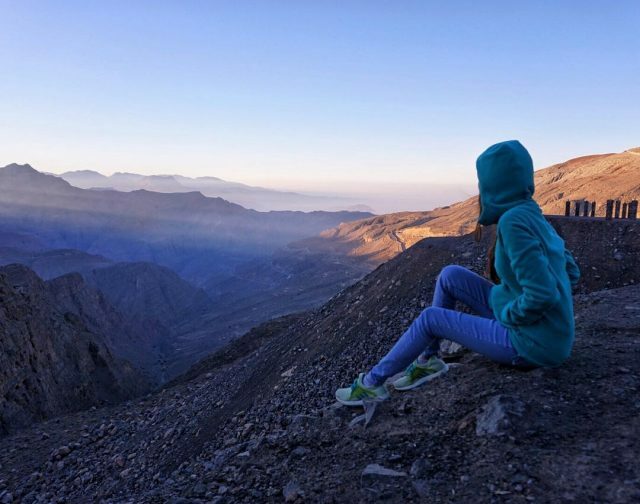 Ever visited the UAE’s tallest mountain? Peaking at 1,934 metres above sea level, this is definitely a road trip to add to your list! If you’re up for an adrenaline-pumping experience, sign up for the Jebel Jais Via Ferrata, the UAE’s highest zip-line that zips you through the mountains! 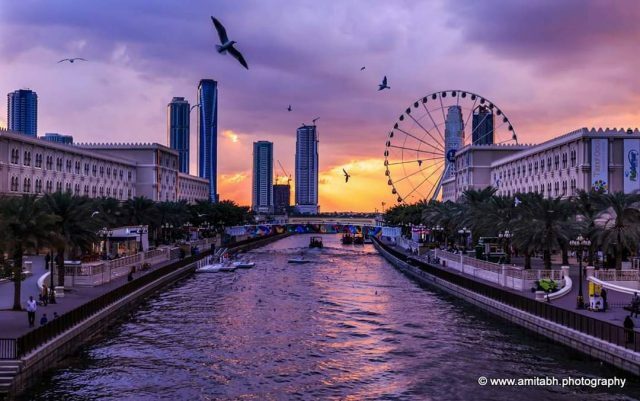 We know, Sharjah doesn’t sound like your typical road trip destination – but the city does have quite a few cool things to check out! One of them is Al Qasba, and it’s perfect if you’re road tripping with the family. There’s a huge ferris wheel, a canal that you can boat across, musical fountains and lots more! The best time to take a trip there would be early Feb, when the entire place is lit up for Sharjah’s annual light show. 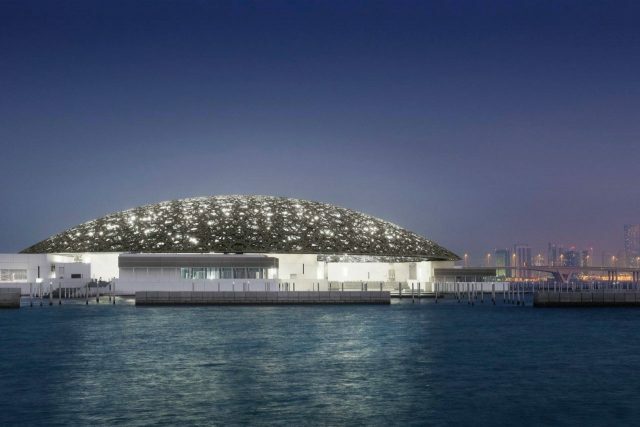 Perched on Saadiyat Island, Abu Dhabi’s art and culture district, the recently-opened Louvre Abu Dhabi is a sight to behold. 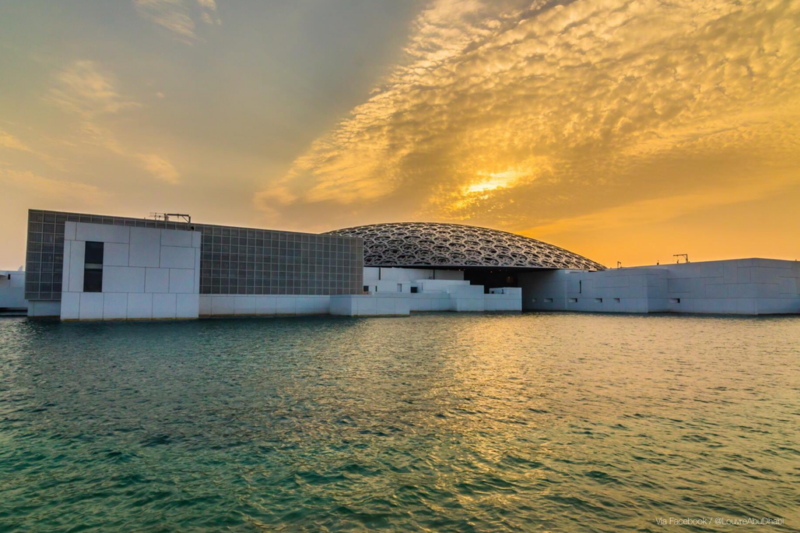 The structure is surrounded by water and is a symbolic reflection of the nations’s achievements. Don’t forget to visit the Sheikh Zayed Grand Mosque on your way there! If you want to explore Dubai instead, here are 7 non-touristy places to check out, or if you’re up for something a little more adventurous, our Adventure section is filled with awesome Dubai experiences.